Jamal Marshall is an optimistic individual that looks forward to helping improve the world in one manner or another. He is a Waiakea class of 2015 graduate and enjoys taking part in various extracurricular activities such as sports, community service, and other clubs. 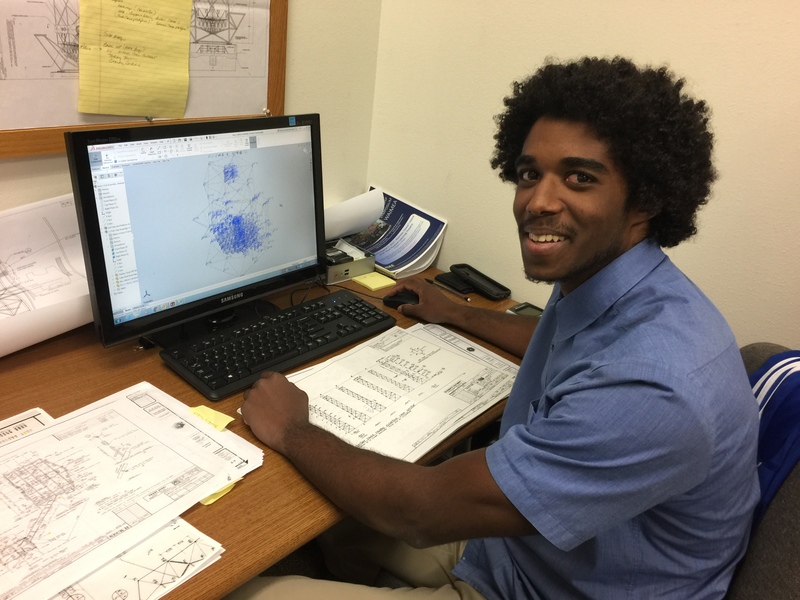 Jamal is studying Mechanical Engineering at Seattle University and currently has his sights set on joining the field of renewable and sustainable energies after achieving a Bachelor of Science degree. Out of the things he loves to do playing soccer, going on adventures with friends, and listening to music are at the top of the list. The W.M. Keck Observatory offers two terrific telescopes to an endless list of observers, and there is a continual effort to maximize the number of observers that each night can accommodate. However, to make any advancements toward such a goal, the current instrumentation and state of the telescope must be improved. An issue that slows the process of updating the infrastructure of either telescope is that both lack an accurate and complete telescope model to base new designs off of. The current process of creating new access platforms or re-designing instruments for quick and easy usage requires creating a model for the area of interest. To expedite this process, the goal of this project is to research and create a work point model of the Keck II telescope that can be used to cross-check existing models, and also be referenced when designing or redesigning components around the telescope. To create this model, I began by researching and compiling work points from the as-built drawings of the Keck II telescope. After transcribing work points for the telescope into Excel spreadsheets, the data was used to make individual parts in SolidWorks. The complete work point model was composed by making an assembly of the desired reference telescope data. The model results appear congruent with the drawings and show an overall symmetry within all structural components. This resulting model has been effective when applied to check existing CAD telescope structures for accurate positioning and has been used to build new modeling data for Keck II. It also allows for quick and accurate reference when new instrument designs or access platforms are meant to be implemented.